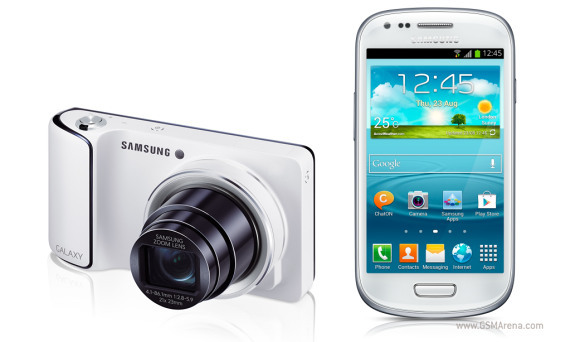 Various retailers in the UK already have already received the first stocks of the Samsung’s Galaxy S III mini and the Galaxy Camera. You can buy the Galaxy S III mini for about £300 free of contract. It’s available in both black and white colors. The Galaxy S III mini is also available for free with a 2-year contract on all major UK carriers with tariffs starting as low as £20.5 per month. You can find the full specs of Galaxy S III mini right here, while for our extended preview follow this link. The Jelly Bean-running Galaxy Camera was announced in August and arrives this month just as promised. Clove UK already got its first shipment and is selling it for £400. Other retailers are also listing the Galaxy Camera on similar prices but require you to wait 10 more days to get your unit.